A wee while ago I received a run of blogger awards (thanks folks! ), and being in the midst of RTW Tailoring sewalong-preparation-madness, I never got around to answering the requisite questions. 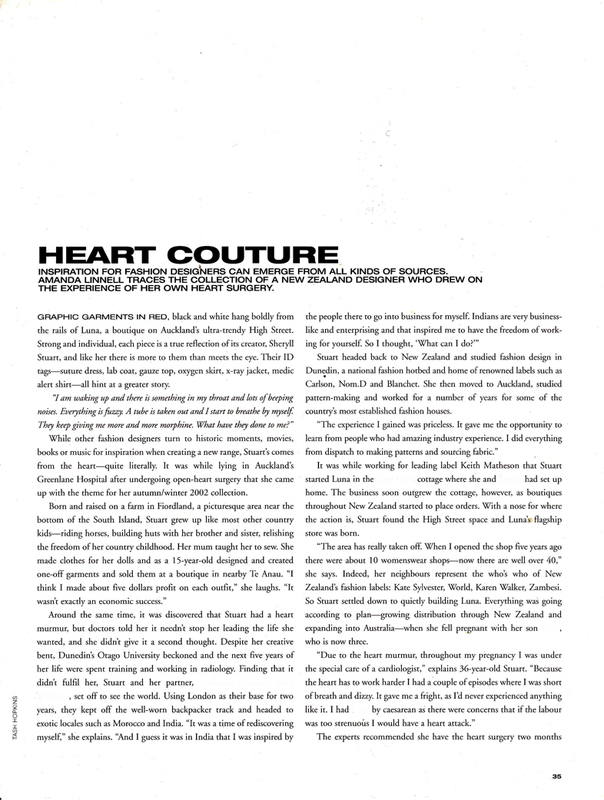 Since this adds up to about 30 things that I’m supposed to reveal about myself, I may as well bare all and share this article – Heart Couture – that was published in AirNZ’s inflight magazine a few years ago. It is quite timely, as exactly 10 years ago today, at 10am in the morning, I underwent open heart surgery to correct an obstruction below the aortic valve. At the time I was self-employed, and after 2 years on a waiting list I distinctly remember getting the call on Friday to turn up on Tuesday. I said to the appointment clerk that I really couldn’t because I was in the middle of a sample range that needed to be ready for fashion week in three weeks time! And I can still hear the stony silence on the other end…. Wow, how scary. Thank goodness everything turned out well and you got inspiration out of the experience. Do you still have your boutique or make collections? I'd love to see more of the collection too! Thanks for sharing this, and all the fantastic information on your blog. Thank you for sharing. Every person is a self-contained universe, and I'm always grateful to know what someone else's universe contains. And I thought you were inspirational before knowing this!! I would also love to see more of the collection. That's an amazing story and congratulate you on 10 healthy heart years! Gosh, what an amazing story – I'm so glad you came through it all so well! I usually lurk here, but thank you so much for sharing! It's really inspiring to read your story and see how you took something that could have been a career stopper, and instead use it to really launch yourself forward. Very moving story. Thank you for Sharing. You are so inspiring. Thanks for sharing this, so interesting to see what you have been through and it is great to know that it turned out well. Thank you so much for sharing this experience. It gives me need to put so much of what I've been through of late into clothing that much more legitimacy. It is amazing to see that you turned something that could have held you back into to something powerful. I was a painter before I started sewing so I understand what it means to find inspiration in the strangest of places. Your personal power in your story is very inspiring. Thanks for sharing this with us. You left me speechless! The strength you have is just stunning and worth the admiration. I'm glad everything turned out right and you feel well now. A very inspiring story! I enjoy your blog; thanks for sharing it. I think you've answered your 30 questions now. Great story. Thank you for sharing this story with us. I would also like to see more of your collections. Thank you so much for sharing this. Your story is so inspirational and touching. Thank you Sherry. You are an inspiration for having achieved so much. I too would love to see more of your collections. What an amazing and harrowing story and I love how it became so literal in your art. Thank you for sharing. Thank you for sharing – reading stories like this puts everything in perspective – in a very good way. congratulations on everything! 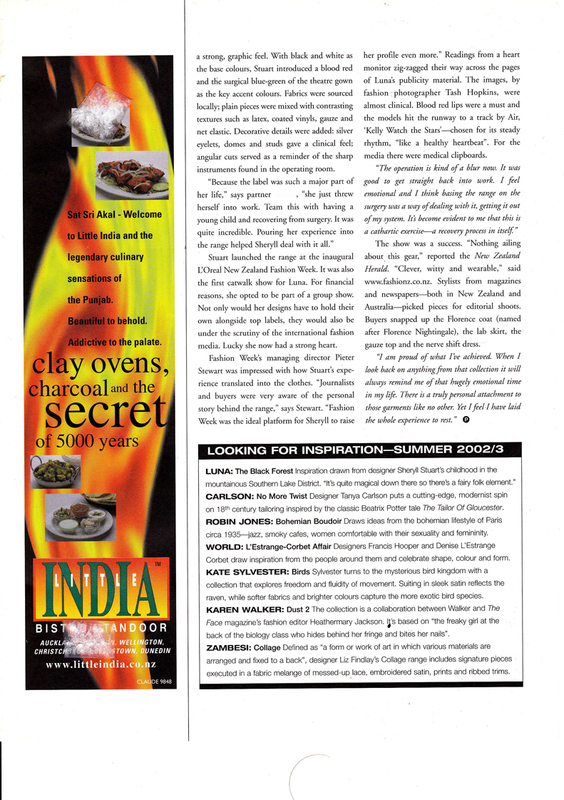 Wow, thanks for sharing your story through this article. I am so happy everything has worked out well for you both with your health and with your business. What an inspiration you are! Thanks for sharing this, Sherry! Meeting strong women like you is always inspiring and reassuring! That's an amazing story – thanks for sharing – you have amazing talents and we are privileged to have you share your wisdom with us. And I would also love to see more of your designs! I read your blog often. Earlier I admired your talent. Now I respect you for your strength of personality as well. Sherry, you are amazing. Thank you so much for your honesty in sharing this. 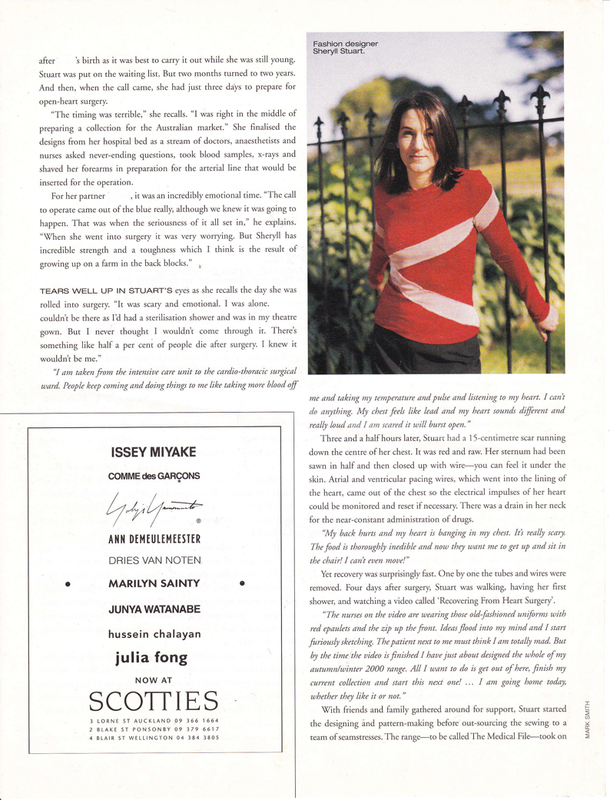 Sherry, thanks for sharing this story with us. You are amazing. I would love to see more of your collections. That must have been such an emotional time for you and your partner – and it must have been a terrific relief to have the surgery go well. These big events in life make you think clearly about what's important…. That's a pretty incredible story. Talented, creative, and one tough cookie to boot! Your story gave me chills. So glad you are healthy now. I feel like I owe you an apology. 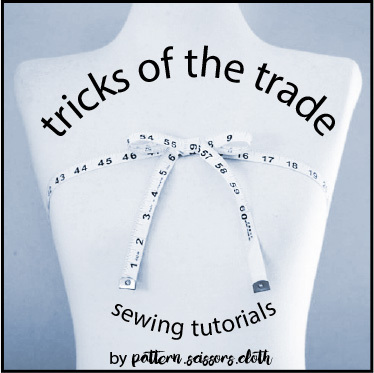 I signed up for the sew a long with full intentions of following along. But I started my spring top sew a long thinking I would still have time for the RTW Jacket. It just didn't work out the way I planned. I have read along, but haven't started the jacket yet. I really like to finish things that I commit to, but this time I'm sorry to say I will not be able to participate. Thank you for sharing the information, and I will be using it at a later date. Just amazing. Thanks so much for sharing! Wow thank you very much for sharing, you are an inspiration.